Grace Crowley was a key Sydney modernist in the inter-war period. She studied for three years in Paris in the late 1920s under a number of teachers including André Lhote and Albert Gleizes. When she returned to Australia she established an art school with Rah Fizelle, where they expounded developments in modern French art for their Australian students. Crowley's own work was a modified, academic cubism based on planar geometry and dynamic symmetry. 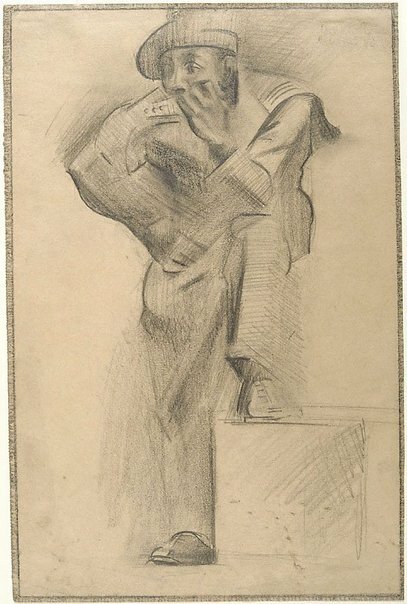 The Gallery has a large collection of drawings by Crowley, including a number of life studies. Terence Maloon, Sydney moderns: art for a new world , 'The pedagogy of modern art: the quest for modernity by Australian artists abroad', pg. 239-251, Sydney, 2013, 241 (colour illus. ), 311. Natalie Wilson, Parallel visions: works from the Australian collection , 'Grace Crowley / Ralph Balson / Frank Hinder / Margel Hinder', pg. 88-103, Sydney, 2002, 88 (colour illus. ), 89, 142, 147. Cubism & Australian art , 'Learning Cubism', pg. 36-47, Melbourne, 2009, 39 (colour illus. ).